Go Behind the Scenes at some of the places where iconic elements in Poblano gastronomy are made. Delight in the aroma and taste of freshly baked bread, enjoy sipping chocolate-coffee beverage and savoring warm Tamales. Watch artisan hands (and feet!) Working and shaping clay pots. 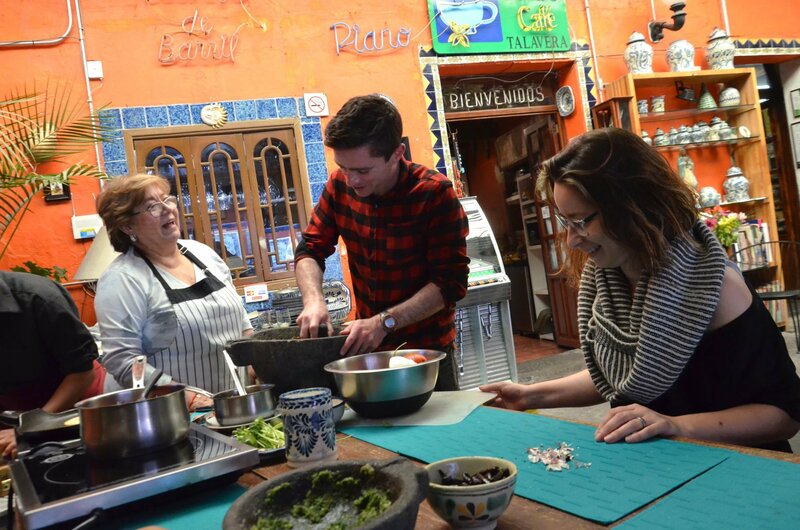 End the day with a cooking class under the wing of our lovely Doña at her colonial-style restaurant. 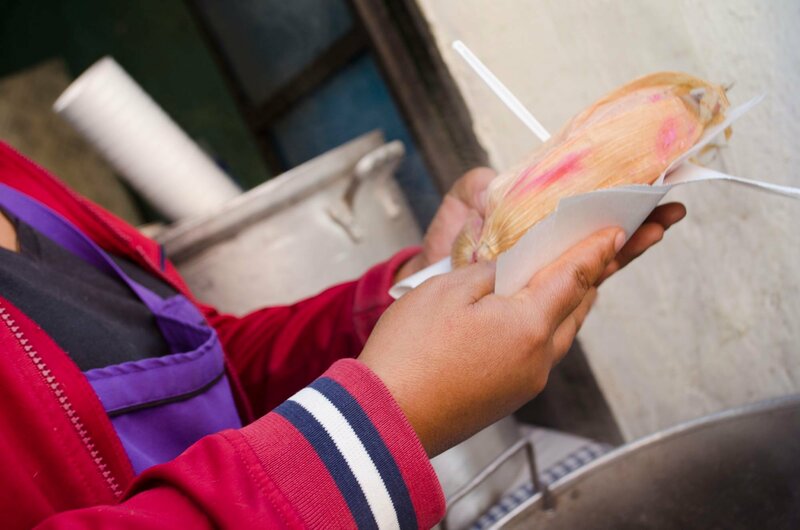 Discover the feeling of corn dough between your fingers as you make an appetizer, and top it with your own sauce made in a Mexican mortar called "molcajete". Now relax as you have a typical Poblano meal and a refreshing drink - you deserve it!